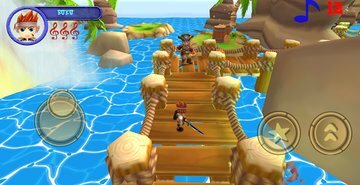 The Harmony Of Buku (DEMO) is a 3D platform/adventure game based on classical platformers from the 90's. 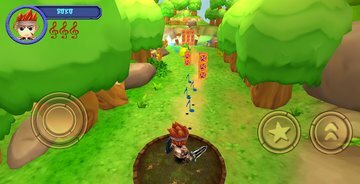 THOB is designed with gameplay elements from games like Zelda. This game is developed by an one-man indie developer. * Begin your journey with Buku, a young hero whose job is to restore the stolen music in the world. * Traditional and classical 3D platform design. 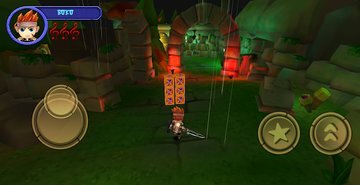 Very similar to the old Crash Bandicoot franchise. 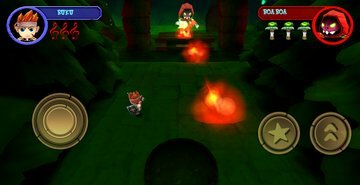 * Fight your way through 6 levels and 2 huge boss fights in a beautiful cartoon 3D environment. * Search and collect all treasures to buy in-game items in the shop. * Fully customizable controls for platforming. 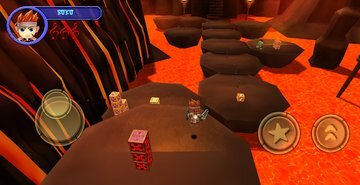 * Try to defeat the developer in a brand new game mode called "Vinyl" in which you can play each level against the clock. * Different quality settings to improve performance and visuals on older or new devices. * 3 difficulty modes (Easy, Normal and Hard). * Music is composed by award-winning Swedish composer 'Christian Andersson'. NOTE: Please make sure the demo version runs decently on your device BEFORE you buy the complete version of this game. Or follow us on Twitter: @THOBuku. The Harmony Of Buku is developed by Di Martino Entertainment. Updated: 18 октября 2018 г.